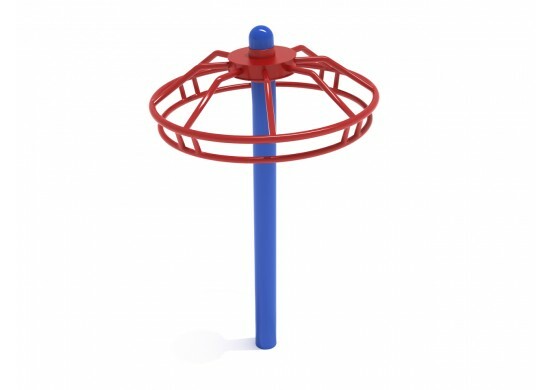 The Whizzy Dizzy is a compact piece of playground equipment with a small spinning platform. 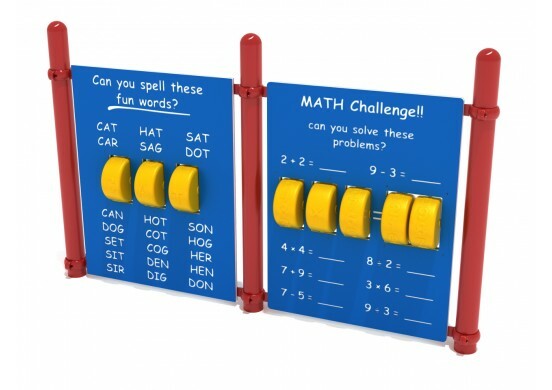 Although it looks fairly small and simple, it is a source of limitless fun for children. It works similarly to a larger playground merry go round, but made for optimal use by one or two children at a time. Users will plant one foot one the round platform, and use the other to push off on the ground. The center post has three convenient handrails to hold on to for safety. 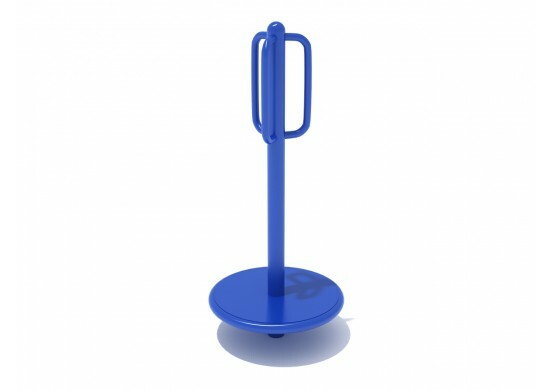 Unlike a standard merry go round, the Whizzy Dizzy is light enough for an individual child to easily get it spinning with a significant amount of momentum. With the help of a friend, they may be able to propel themselves faster, with a little coordination and teamwork. This item is recommended for children ages five and up.